I have always wondered why there isn’t any product that can connect the tripod and smartphone together. Since nowadays smartphone is super convenient in recording and sharing, I think having a tripod for smartphone would be a huge plus. The adapter is a wonderful addition to my tripod. With this, I don’t need to use my old camera to take pictures, and I can record a decent video that is free of hand shake and right side up. No more vertical or upside down footage. 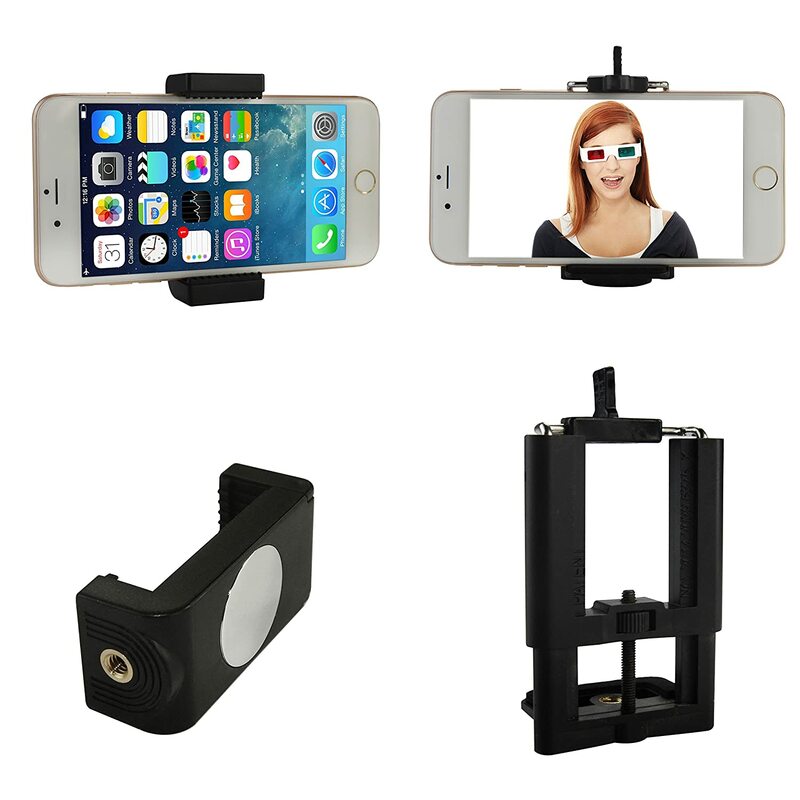 The package comes with 2 adapters, one with a mirror on the back (great for recording interview video or presentation), and one with solid grid which can be extended for larger smartphone. Both of these work pretty well with my iPhone 5 and my tripod. It is very straightforward when setting up the adapter. For the small cradle, it has a tooth –like grip to secure devices from falling. For the other one, you will have to loosen up the knob or tighten it to adjust the open area. As you can see in my video, the phone is secure by both adapters, and it wouldn’t move unless I try to drag it out. The adapters hold my phone very well and protect it from dropping. Overall, I am satisfied with this product. One suggestion, I would prefer to make the end of screw bigger to prevent completely loosing knob, and to slightly enlarge the knob to speed up the process of adjusting the grid.